The Court of Appeal concluded its proceedings today after a week of hearings. Justice Robert Lloyd Fisher, Justice Rhys Harrison, Justice Graham Ken Panckhurst, Justice Vui Clarence Nelson and Justice Mata Keli Tuatagaloa presided. In delivering one of the decisions, Justice Fisher acknowledged the two local Judges who sat in the Court of Appeal; Justice Vui Clarence Nelson and Justice Mata Keli Tuatagaloa. 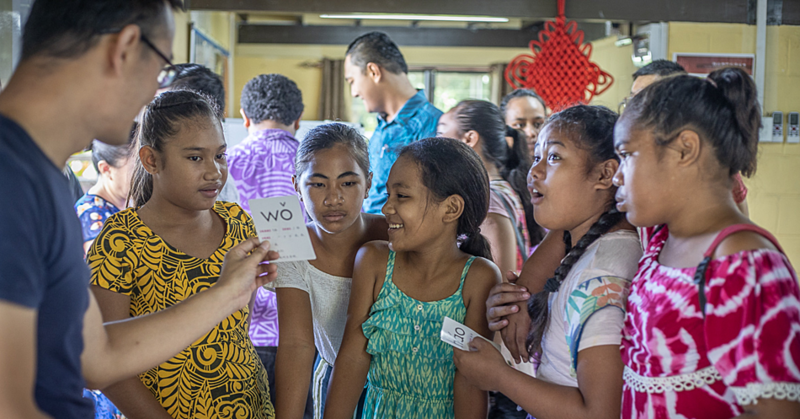 “New Zealand judges in particular are grateful for the special wisdom and experience of the Judges from Samoa,” said justice Fisher. He also acknowledged the Ministry of Justice Courts and Administration (M.J.C.A.) Court of Appeal team; Loretta Pupuali’i, Upolu Pouono, Alofaa’e Alofaifo, Faanofonu’u Matauiau and that assisted in its proceedings. 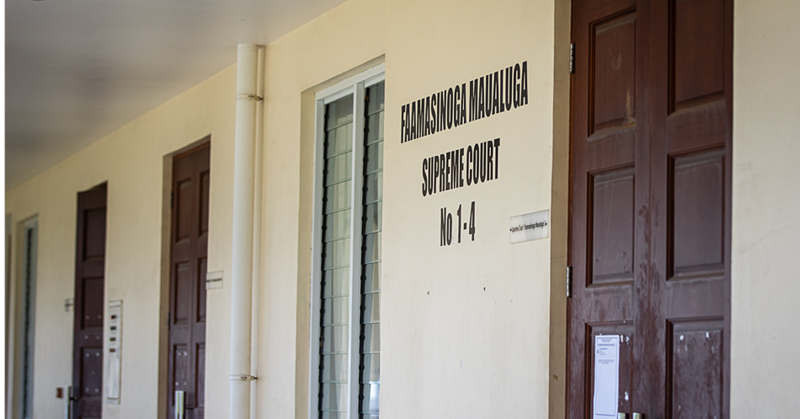 The Court of Appeal has a jurisdiction to hear and determine all appeals from any judgment, decree or order of the Supreme Court whether civil or criminal. 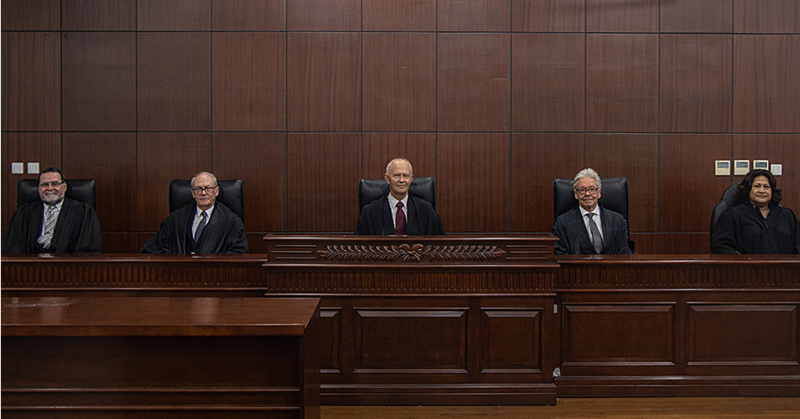 The Court of Appeal also granted the Samoa Observer permission to take a special photo of the Judges in Court.